Mavic is taking its Notch clothing range up a level for 2013. Refined and expanded with the help of top enduro racers Fabien Barel, Anne-Caroline Chausson and Jerome Clementz, the Notch range includes a new helmet, jerseys, shorts, gloves and improved versions of the popular Alpine XL shoe and Stratos H2O jacket. We got a chance to test the new kit, in a mix of conditions ranging from warm sunshine to snow, when Mavic invited us to the hills above Nice for a little friendly enduro competition. The racing was organised by Transprovence head honcho Ash Smith and – this literally being his backyard – Fabien Barel. Seven timed downhill stages over two days would give journalists from around the world a peak into the world of multi-day enduro racing and a challenging environment for the clothing. Good mobility on the bike, high breathability during the demanding stages and an ability to cope with a wide variety of temperatures as we transitioned from stone-cold standing around to flat-out-and-lungs-on-fire were all important requirements. Happily, most of the kit passed this two-day test with flying colours. So rather than give you a run-down on the complete range, we’ve highlighted a few of the products that really impressed us during the launch. First up though, here’s a video showcasing the awesome riding around Nice. The Notch helmet is very much in the style of other trail/enduro helmets with a low back that provides protection further down the back of the head. There’s plenty of ventilation and the fit is excellent thanks to the Ergo Hold retention system and multi-density padding. Dialling in the fit with one hand is simplicity itself, even on the move, and means you can loosen the lid for a bit of extra air flow on long climbs, then cinch it back down for the descents. A fixed peak doesn’t interfere with your peripheral vision, and the low back also works well with goggles. We’d love to see the Notch gain some thinner, lightweight straps and Y-buckles, but this is a minor criticism. At around £80 it’s pretty good value too. 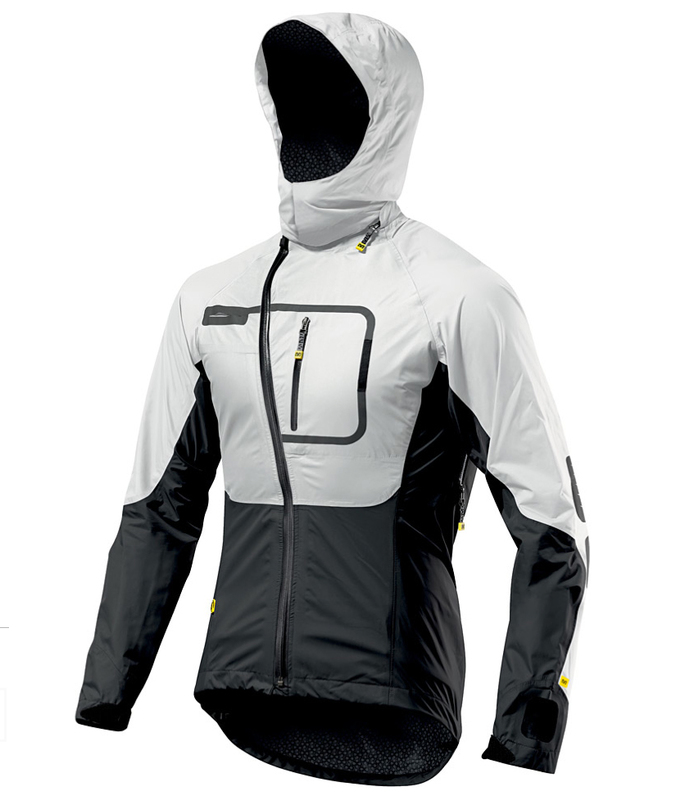 OK, so this isn’t the Notch jacket (there is a specific Notch version with a looser cut), and it’s not new, but the Stratos jacket has some very cool, er, ventilation features. A mesh panel behind the zip allows you to unzip the jacket entirely, and directs lovely cooling air in, without it flapping around like a superhero’s cape. The hood is detachable, there’s a decent size breast pocket, a window for your watch and an expanding back panel that lets you wear your jacket over the top of your backpack. It has a typically French cut, buy that we mean tight and tailored. So it might not appeal to everyone in that respect. Equally the price is steep at £270 (although we’ve seen it online for significantly less) and, away from the dusty environs of Provence, the white option won’t remain a blanc canvas for long. But, as a technical winter riding jacket the Stratos impressed. A loose fit, stretchy short that’s cleanly styled and fits well. It allows plenty of movement on the bike, and despite a lack of waistband adjustment (you’ll have to run a belt if they don’t stay up) the fit was good as long as you remember to size up slightly. Hip pockets could do with being zipped, but there is a useful secure pocket at the rear. 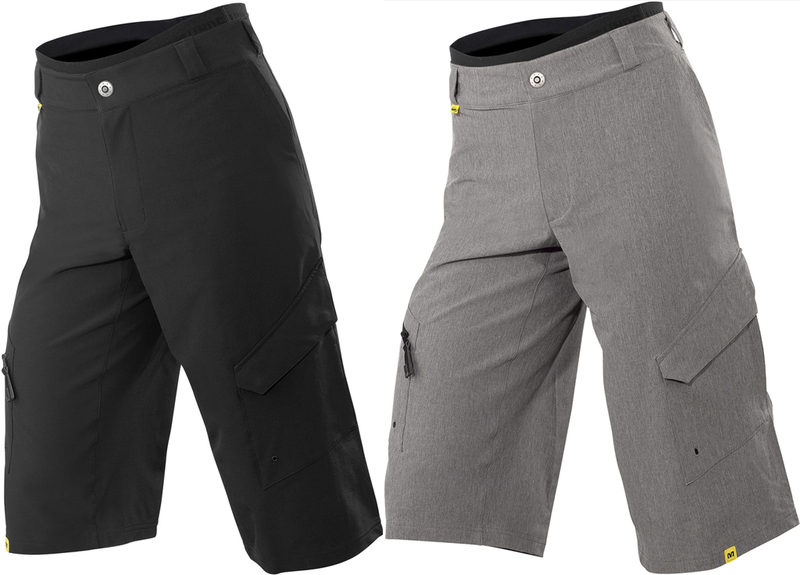 We’re not fans of the cargo pockets as put anything in them and it’ll just slap against your thigh, and the zip pulls are a bit on the long side. Overall, a good quality short that feels comfortable and offers great freedom of movement. 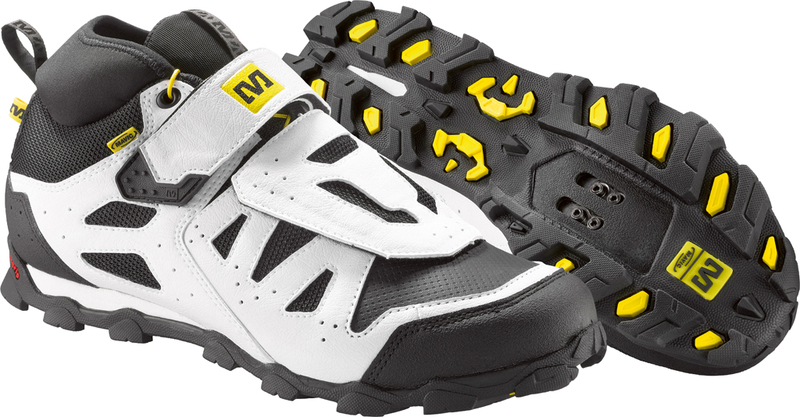 Pricy at £95, but at least you get one of Mavic’s quality padded liners thrown in. One of our favourite trail shoes has been improved for 2013. The chunky Contagrip outsole has been changed to make it more durable by using a firmer durometer rubber around the cleat area. The upper has been reconfigured to allow more support and comfort, while the metal strap loop sits further away from the crank to prevent it catching and coming away from the shoe. Internally there’s a new moulded insole with varying density foam that’s noticeably more comfortable than the old model. £110 will get you a set of the new Alpine XLs. And to make sure you’re getting the revamped versions, look for the yellow drawcord lacing.